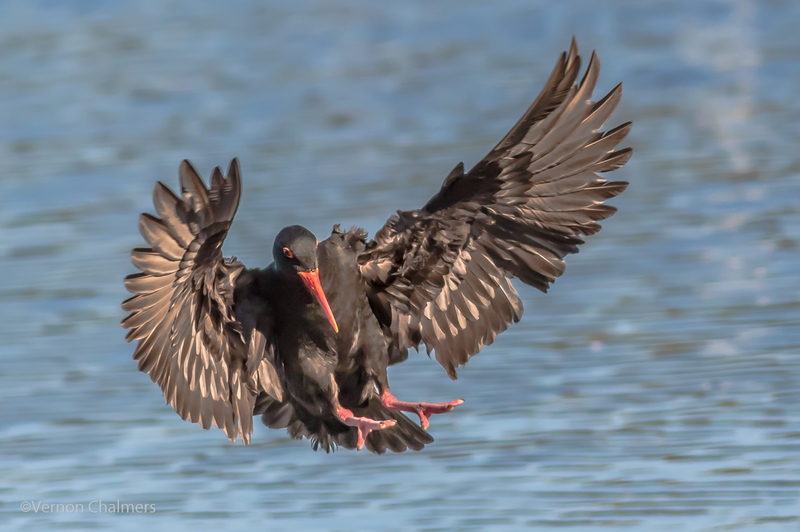 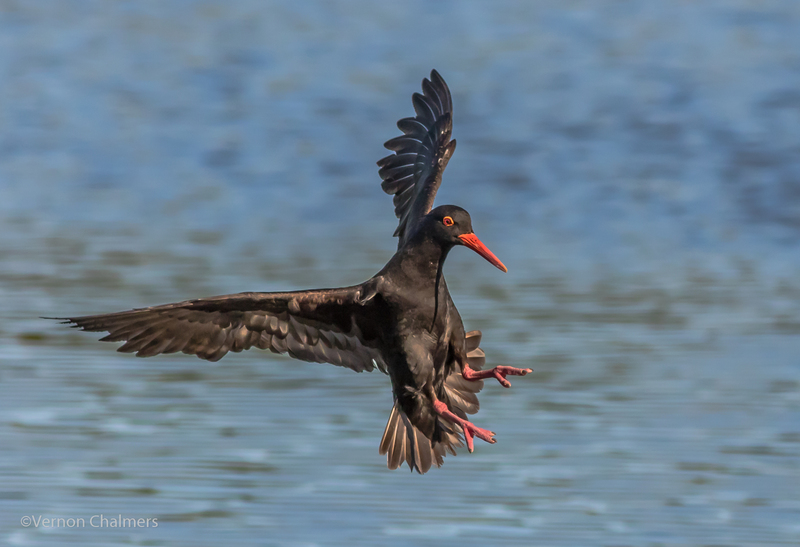 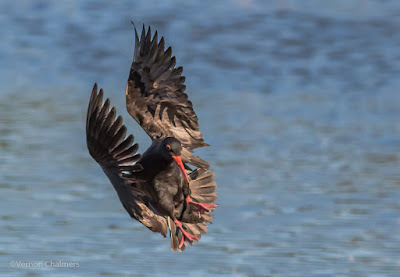 A fast and vocal African Black Oystercatcher bird coming in for landing. 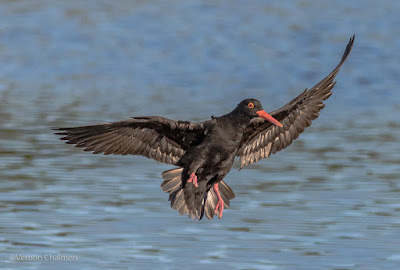 During a windless morning of shooting we encountered many of these two-tone birds - I've never seen so many Oystercatchers up and down the Diep River, Woodbridge Island. All images captured by Vernon Chalmers with Canon EOS 7D Mark II / Canon EF 400mm f/5.6L USM lens (Handheld). 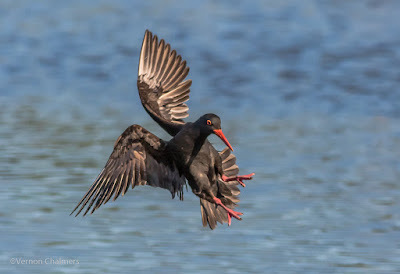 Close to Woodbridge Island / Table Bay Nature Reserve.